The customer satisfaction translates into sales. Make a customer happy, equivalent to 2.6 times increase revenues generated by it. A reward worth insurance. However, it is an advantage that few companies know how to make. Excellence in service is not a priority for companies and brands. According to data from NinjaMetrics, 41% of customers expect to receive a response from brands within a maximum period of 6 hours. However, only 1 in 3 companies fulfills this premise. Show vocation of service. Customers need to feel at all time served by the company. It shows them a firm commitment to their welfare. It is therefore imperative to have a social CRM, which allows access historical, meet their needs and provide the same quality of service regardless of the channel chosen by the customer. As a result, customers will respond to the attentions lavished by brand, recommending in its environment. Satisfied customers transmit their positive experiences to a minimum of 6 people. Act with transparency and accountability. They are the basis of trust. Customers need to feel assured that they can count on the company, and do not let them down. To this end, the brand has to keep open channels of communication with their audiences. Especially for any sensitive issue or problem; at which they have to adopt a favorable attitude to communication, and act responsibly, keeping corporate philosophy and values that characterize it. 60% of customers feel more positive towards those brands on which obtain information and positive content about your present, progress and developments attitude. By contrast, 90% fail to trust those brands you find information about showing their evil arts, or whose actions denote irresponsible behavior. Motivate and reward customer loyalty. Irremediable, customers surrender to compensations such as discounts and incentives to reward their loyalty. The company has to keep in mind which is 5 times more cost effective to keep a customer than to get a new one. Reduce customer turnover rate equivalent to increasing the profit of the company between 25% and 125%. Promote engagement with customers through personalization. To achieve full customer satisfaction, the company has to provide a comprehensive personalized experience, so that they feel equally confident of support provided by the brand, regardless of the selected channel. 40% of customers buy more in those companies which offer them this customized experience. These committed customers can bring the company up to 240% more profit. 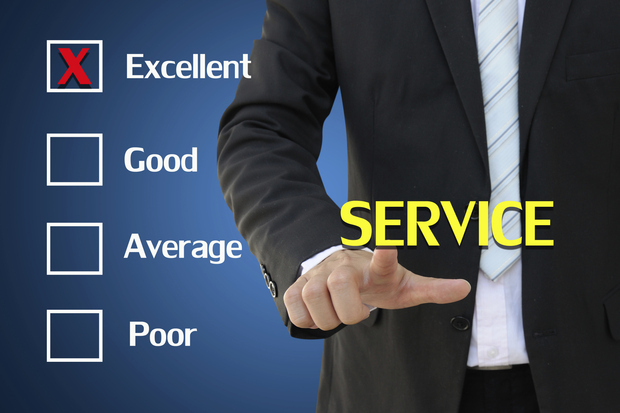 Measure and analyze the overall rate of customer satisfaction. It is not enough guess, the company needs to know for sure if customers are really satisfied with the service and the experience received. To do this, they have to resort to research and index measurement of customer satisfaction, both qualitative research, and support of Big Data. The data allow drawing useful conclusions, identifying gaps and providing guidance on the next steps. It is important to give customers the opportunity to express themselves freely, and encourage it. 95% of dissatisfied customers do not show their discomfort; which is a black hole in the customer knowledge, and the real problem that should face the company. This is a silent cancer that needs to be removed as soon as possible.